Subscribe to our Newsletter and Gain Access to Our Collection of Shareable Downloads and Exclusive Content! Employees crave validation that they are doing a great job. Employee recognition programs provide an easy-to-use platform for executive leaders to distribute recognition to everyone who contributes to the company’s overall success. Learn how to personalize recognition to suit employee needs in this whitepaper. Resolve to give your employees the recognition they deserve throughout the entire year. Our guide will keep you on track month to month while offering recognition ideas and motivation to keep going! Want to create a happier, healthier, and more engaged workplace? With this Handbook for Happy Employees, we will show you the ins and outs of employee recognition and help you regain your company’s inspiration. Implementing a few, simple engagement strategies can help your company improve employee happiness and retention. Check out some of these great engagement ideas brought to you by our team! Purchase promotional items that are guaranteed to make an impact at your next trade show. Let us help you plan your promotional product marketing strategy for 2018! Promote health and wellness within your organization with this collection of products. Let us help you keep your organization happy and healthy! Delight your hotel and spa guests with special gifts and brand giveaways. Our 2018 Hospitality Catalog has the gifts you need to make their visit a memorable one! Recognize the moments that lead up to game day with custom awards and recognition. In this Collegiate Recognition Program Guide, you’ll find new and creative ways to recognize everyone involved with your team. Our recognition programs are designed to inspire. We offer fully customizable platforms with simple administration and an exceptional participant experience that consistently surpasses the expectations of you and your employees. Our company stores offer the look and experience of online retail shopping, are mobile friendly, and provide custom reporting capabilities to successfully manage your program. We offer complete program administration and fulfillment through our exclusive online system. Download our information brochure to learn more about this service. Our fully customizable recognition programs are designed to inspire. We know that a moment of recognition is all it takes to fuel employees to take your company from good to great. We offer simple administration and an exceptional participant experience that consistently surpasses the expectations of you and your participants. Our advanced recognition platform is fully customizable to fit your specific needs. Download our Capabilities Statement for a brief description of our services and a sneak peak into our manufacturing processes. Both your employees and your company can benefit from positive criticism shared through employee engagement surveys. Surveying your employees and actively making changes according to their feedback will make them feel valued. 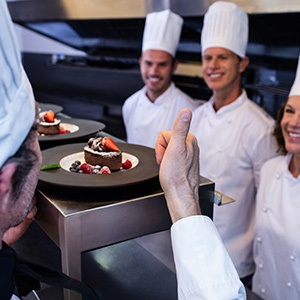 Get the facts on employee engagement in the Food and Beverage Industry. Learn how employee engagement impacts retention and overall customer satisfaction. Get the facts on employee engagement in the Healthcare Industry. Learn how employee engagement impacts retention and patient health. Gather the ghosts and ghouls in your office to play an interactive game of Halloween Bingo. How many of these fall themed items have you seen? Start a new Thanksgiving tradition in your workplace. Round up your staff for a game of Thanksgiving Bingo! The Best Way to Spread Holiday Cheer… Is to shout, “BINGO!” for all to hear! Gather your staff for a game of Holiday Bingo! With our printable On-the-Spot recognition cards, you’ll always know just how to give your employees the recognition they deserve each and every day. With our printable Holiday On-the-Spot recognition cards, you can make employees feel valued for working hard. They can be given at any time and for any reason this holiday season. Our Shareable Downloads are exclusively accessed by our Newsletter Subscribers. 1. Click the link for the item you’d like to download. 2. You will be directed to a registration form. 3. Be sure to include your email address on the registration form! 4. Once the form is complete, you will receive an email containing your download to the email address provided. 5. Check back often for more!